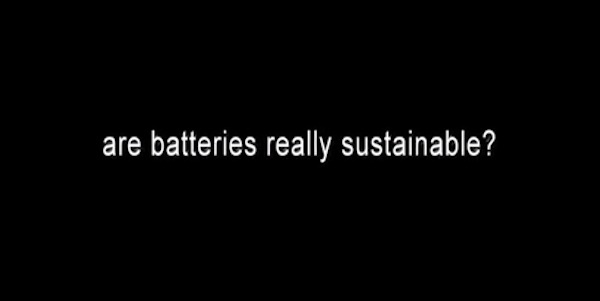 In this video from December 2013, which Lenz Blog unearthed from YouTube, SolarCity Chair and Tesla Motors founder and CEO Elon Musk explains why he thinks the large-scale manufacturing of lithium-ion battery packs is going to be sustainable. Lithium-ion batteries are currently used in many products, including in electric cars and for solar power storage. Recently, Tesla announced a plan to build a “Gigafactory” to make massive amounts of lithium-ion batteries, primarily for Tesla’s growing range of increasingly popular electric cars. At the time of the announcement, I mentioned that it’s debatable whether or not the massive production of lithium-ion batteries for energy storage will be entirely sustainable, even if it is preferable to fossil fuels. Hey! Who does the subtitles? Let me proof read or even “translate” for you. I can do a better job!